Man alive, I have a million and one things to post about. I can't believe the whole month of April went by without a single update from me! Time is flying as usual. It used to be that I had tons of time and just nothing exciting to put on here, but now I've got all kinds of interesting things to talk about and no time for talkin. Anyway, first of all, thank you all SO MUCH for the ridiculously kind words and much needed encouragement regarding my recent return to work. It's still oh so lame to have to work right now, but I'm feeling much more adjusted/stable/ok about it. Turns out, I can understand why some moms actually like to work. Working all day is a whole lot easier (at least for me) than being home with Eva! As demanding as it is though, I'd rather be home with her any day. All of that being said, before I get into the latest haps around our house, it's high time I put a plug in for myself. 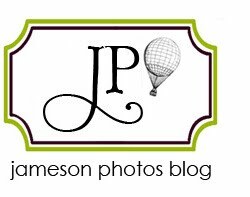 Without further ado, please head on over to my lovely, new, exciting, and FINISHED (at least for now) photoblog/photography website!